Copyright �2015 PopEntertainment.com. All rights reserved. Posted: May 31, 2015. 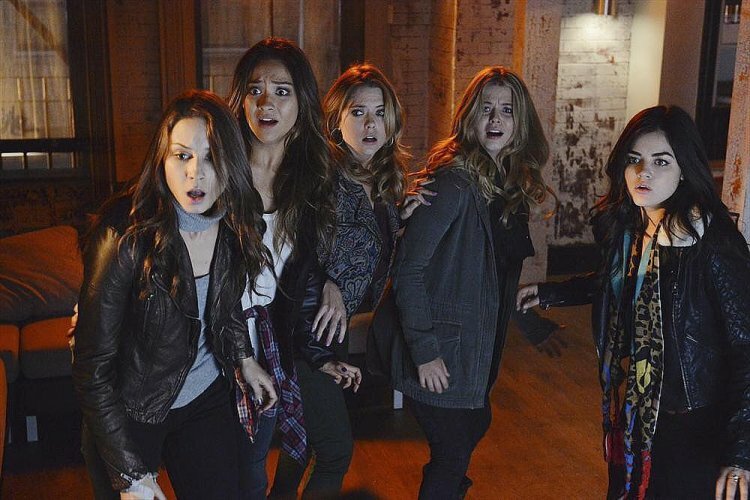 If you're a Pretty Little Liars fan, then you are undoubtedly counting the days until Tuesday's season six premiere. With a frightening end to last season that left loyal fans both shocked and confused, Pretty Little Liars remains ABC Family's most popular and talked about show. One of the reasons for the wide appeal of PLL is undoubtedly the talented group of writers led by Marlene King. Together, they have successfully kept fans on the edge of their seats for six seasons with unlimited cliffhangers like� Who is A? Who is buried in the grave? Who is red coat? Is Mona really dead? Did she do it? And of course the big one now� Who the heck is Charles? One fave in the complex cast of characters is Alison DiLaurentis, played by nineteen-year-old actress Sasha Pieterse. Fans either love or hate Ali as she continues to wreak havoc on the lives of the other liars, their friends and families... as well as everyone else she crosses paths with in Rosewood, Pennsylvania. Last week we had the pleasure of speaking with Pieterse during a conference call about the upcoming sixth season of PLL. She shared her thoughts on many things PLL and also dropped some bombshells about new storylines, relationships and answers to some outstanding questions that we are all waiting to hear. What�s in store in with Charles� new mission to complete his doll collection with the real Alison? I can tell you that Charles is somehow related to the DiLaurentis family, which is a huge spoiler. (Laughs) So, use it wisely, but I think that�s exactly it. Charles is obsessed with the girls and obsessed with everything that he has created in his mind. To have the real Alison is his obsession and his dream. That is going to be really strange in the summer season that we�re having. It�s going to be really eerie and dark as usual, but there are things that you haven�t seen before as well. This is a new element for Pretty Little Liars. We finally found out who A is. Everything is going to fall into place, make sense and we�ll find out how this has all come about, as well as the history of Charles and the reason he is so obsessed. It�s cool because we�re so far from what the average teenage show is all about. I think that�s why we have so many different age ranges that really appreciate the show. It really does dive into so many different things. It�s a murder mystery and it�s all this psychological drama that happens. That�s just what Charles is. He�s this self-destructive hyper-sensitive crazy genius that is haunting these girls, and his ultimate dollhouse does include Alison. You�re just going to see us trying to figure out what his plans are and how he�s going to accomplish that, or trying to stay one step ahead. 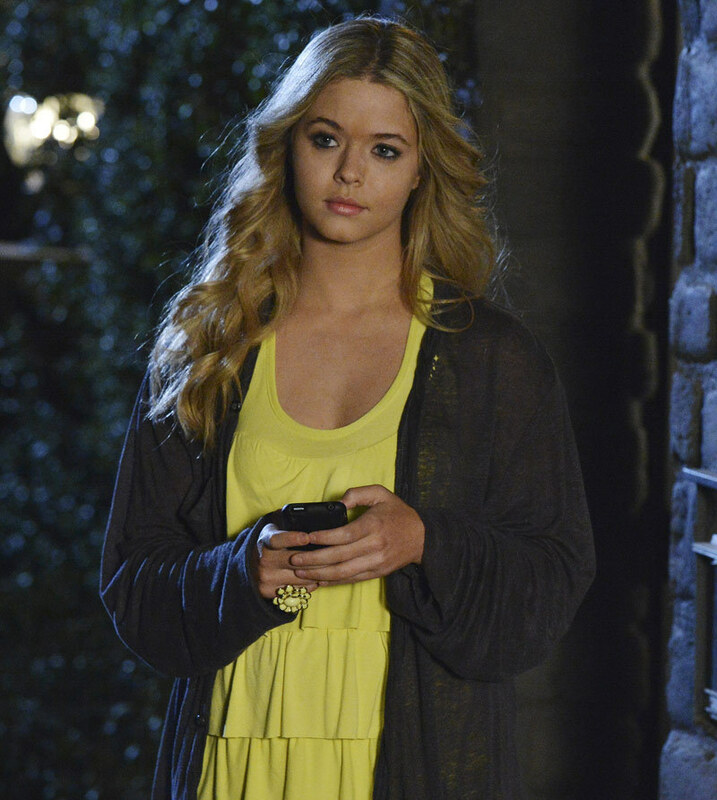 How long will Alison be staying in the dark when it comes to Charles being �A� and his relationship to her? Honestly, I don�t completely know yet! Not everything is written yet. We�re still in the process of filming. I�m in the dark about that too. I enjoy finding out all these different secrets that are coming about. What Marlene will share with me and what everyone knows. There are things that I found out about Charles already that I cannot share with you, but I can tell you that it�s going in a super cool direction and not something that I would have expected. I think the fans are going to really enjoy it. We�re really enjoying playing our characters right now, because everything is so different. Everything that we�re going to be filming is so different. This is totally reinvented and it�s a lot of fun. Is the name �Charles� going to ring a bell for Alison when the girls return and tell her, or will she be as clueless as them? She has no clue who this person is. I�m pretty sure I�m able to say that. (laughs) It�s completely a shock to her. So, that also brings up if Charles is somehow related to the DiLaurentis family, how come no one knew about him. That unravels a whole other different but cool storyline actually, because as much as everyone knows what�s happened and the girls are trying to figure it out, they�re also following their own storyline and their own demons. We�ve always known that Alison has a strange family, but now it just goes so much deeper and so much darker. It�s really hard for her to trust anyone. She can�t even trust her own family completely. I�ve actually really enjoyed watching that unravel and playing that out. What can you tell us about Andrew and what he has to do with Charles? I have to be vague about that, but it�s a really good question. Andrew is a weird component in all of this. I can�t really tell you if he�s Charles or not, but he definitely has something. It might not be what you think it is, but he�s really cool. He came out of nowhere. But at the same time, he was always there. I know fans aren�t necessarily surprised because they�re going and re-watching the episodes that he was in and are now really suspicious of him, which they should be. It�s this weird dynamic, especially now between him and Aria and why he�s doing what he�s doing. So, I think the fans will enjoy the outcome of what happens to Andrew for sure. Can you tell us who Alison�s love interest is going to be in season six and how that relationship will unfold? It�s a healthy relationship and it�s the first time Alison has really had a connection like this. Obviously, she�s had a connection with Emily, but this is very different and honest. There�s not that history that there was with the girls, which I think is important. It�s cool for her to start anew and that�s the best way to do it. To be honest, it�s very new for her and I�m actually not sure exactly where it�s going to go yet either, but it�s a little bit of a surprise. I think the fans are going to love and hate that. There�s going to be a lot of Emison fans that are going to be very disappointed, but this is life. This is what happens. Everyone�s had a relationship except for Alison. There�s been Emily and Alison, but it�s so on and off that it wasn�t consistent like Toby and Spencer, or Hanna and Caleb. This is a cool version of what a regular teenager would be going through. It�s been fun to play. It�s weird. You�ve heard of Alison�s previous boyfriends and flings, but you�ve never actually seen it. So, I think it�s a nice, refreshing and innocent in a way, a side with Alison that we haven�t seen before. How far ahead do you get to see the script? We are on our eighth episode now and you�re about to see the first episode. So, we�re quite far ahead. I should say that we haven�t started the time jump yet. As much as I know a little bit, I�m also being honest in saying that I don�t really know a lot about our time jump yet. They�re still writing it. (laughs) It�s fun to sneak in the writers� room and ask questions and see how much they�ll tell me. It�s going to be really fun to do that time jump. We get to see everything before everyone else does, but not as much you think. Where will we find Ali after the time jump during season six? Well, I can�t tell you too much obviously because it�s a secret, (laughs) but I�m really excited about it. All of us are really excited about it. It�s something new and different that the fans haven�t seen before. It�s an interesting twist because so many different weird things happened to the girls at this time in their lives in high school. Now this is something totally different. They�re grown up and their life has moved in different directions. I think the fans are going to really enjoy seeing that. I also think that we�re really going to enjoy acting and playing that out and seeing how characters are working together again. So, I�m very excited. Did you ever think Alison was guilty, and how did you go about playing that as an actress? Alison has been so fun for me because I also never know. She�s had so many different storylines. There was a part of me at one point that I did think that she was guilty. Then I thought about it and realized as twisted and as messed up as she is in all of the lying she does, generally there�s a reason for it. As everyone found out that she was alive, we also realized that she now isn�t as selfish as she was before. She�s learned so many different things about herself and about the world. About the reality of �A� and how dangerous �A� is and trying to protect her friends, even though the girls didn�t think so for a while. I think some of the fans were convinced. She kind of prevailed. Now, she�s trying to make everything better and she�s also trying to learn about her family life. Everything is a lot more serious to her. It�s not about the clothes that she�s wearing or how to diss someone. It�s much more about protecting herself, her friends and her family and really finding out what Rosewood is hiding. She�s really grown as a character and that�s fun for me. It�s been such a crazy arc, and to now sometimes be vulnerable and nice has been a nice change, because she was never that way. Everything that she�s feeling now is genuine. She�s not manipulating anyone anymore. She�s really trying to figure out her demons and what caused her to do things. She�s realizing that there were things in her family and things that she was told when she was younger. Now it�s a total subconscious thing and there were so many reasons for the things that she did that she didn�t even know. They were so engrained in her. I really enjoyed playing out my now family storyline too. It�s been a fun change, and I think fans are really going to enjoy that too because we�ve never seen that before. We�ve never seen this common dynamic that I can tell you a lot about, but it�s going to be really interesting. I really enjoyed having scenes with my dad too. He is so great! Jim [Abele] is so great and nice. He really portrays daddy DiLaurentis very well. He�s had to do some fun stuff. I�m looking forward to what people think of Alison�s family, because it�s so twisted. 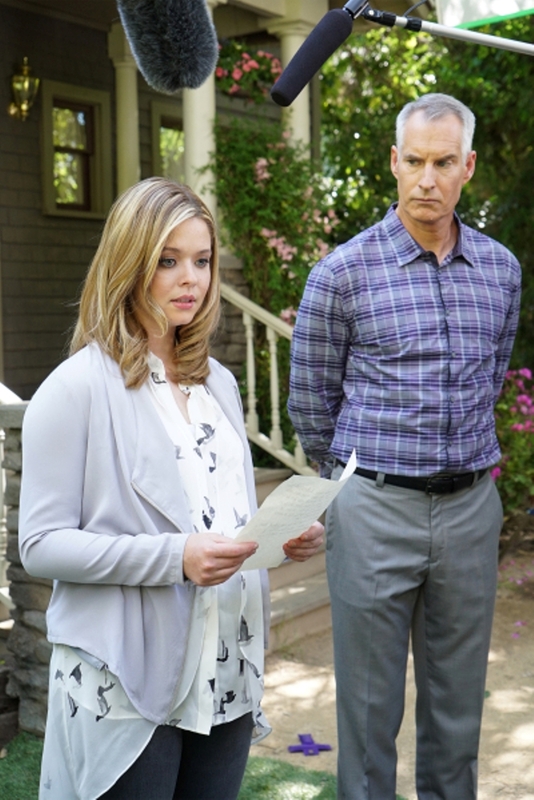 Do you think Alison�s apology to Paige came from a genuine place? What is their dynamic together? It definitely was a genuine apology. Alison�s going through a lot of turmoil and she�s realized how much she�s hurt people. Now that she�s out of jail, she really has to face people and everything that she�s dealt with. I mean her whole path is now brought to life and light. She�s had to face everyone and that was a really cool moment between both Paige and Alison. In that moment I think that was a very genuine apology and she also saw how much Paige and Emily loved each other. It�s like she has a new respect for Paige. Paige was not the person that she left when she disappeared. What do you think it is that�s so compelling about the dynamic between Alison and Emily? There�s such a powerful connection between them and honestly, both of them don�t know what it is. Alison cares about her a lot and I don�t think she really knows what her feelings are. She�s not sure if they�re misplaced or not, but the definite truth there is that they have such a strong friendship. As much as Alison has gone astray, done so many crazy things and has lost their trust, lost her trust and gained her trust back again, there will always be that connection there. I don�t think that�ll ever disappear. Emily was her pit bull. In the book that�s how they described it. She was always protecting Alison, no matter what. That�s carried through even now. When Alison was found, or at least the girls found out that she was innocent, I think that made Alison and Emily even closer because that was Emily�s mistake and now it was Emily asking for her forgiveness. So, that was also interesting. That was a great dynamic between the two of them and good for the fans to know. I know everyone is so for Emison. I totally understand because of how many great scenes Emily and Alison have had. But, it�s also important for at least the teenage girls watching our show to recognize that not everything stays connected; not everything always comes together. This is a high school relationship and they deeply care about each other. But, this show is really doing a really great job of showing their relationship grow and their relationship arc. Marlene has really good plans for their relationship and where the fans will like it, but at the same time, it�s a realistic thing. It�s really real. Some of them might not like it, but some of them will. It�s a really important change. You�ll see some of that go through the time jump as well. They definitely do care about each other. I think their feelings are genuine either way it goes. What will Alison�s relationship be like with Mona? It�s pretty strange. They�re nervous of each other, probably Mona more than Alison, but I think they�re starting a friendship in a very strange way. As much as they�re different, they�re very similar too. They�re now learning how to be around each other without protecting themselves because now everything is out there. Everyone knew now that Mona would stay and now she�s not. Now Mona also was trying to convict Alison of murder and now that Mona knows that that wasn�t accurate, it�s this weird vibe between the two of them. At the same time, Mona was kidnapped as well. Alison helped save Mona too. It�s a weird dynamic, but I think their friendship will grow as time goes on. 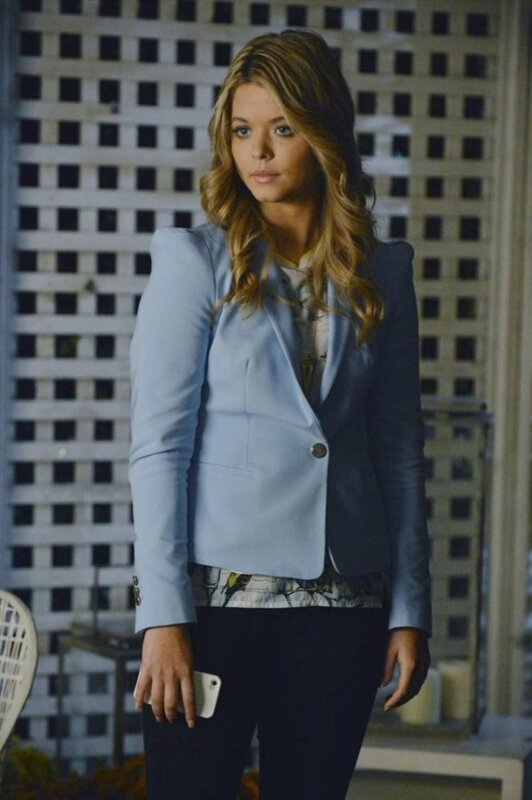 Do you think anybody will ever fully trust Alison with everything that she�s done? Honestly, people in Rosewood that don�t know her, like the girls do probably not trust her. It�s going to be really hard for her to clear her past and make people understand that she�s not that person anymore. Now that Alison�s genuinely changing, I think it will get easier for her once she�s start gaining people�s trust again. You�ll see her love interest help out with that, which is also a cool aspect. It�s a cool aspect to Alison, growing up and changing her persona. She�ll master it almost completely. There will still be a little bit of a doubt with certain subjects, but I think for the most part she�ll be okay. What is the biggest change you think we will see in the upcoming season? It�s weird that the police know the truth now, but I think it�s even stranger that the parents do because now you hear the parents talk about �A� and all the terrible things that �A� has done. That�s a weird change, because there�s not a lot the girls can hide from their parents now. There�s still a lot that they can, but now they know the dangers of Rosewood and �A� with Charles. So, it�s curfews and having to know where they are all the time. Not trusting them when they say they�re going to a sleepover because they feel like they�re not actually. That kind of stuff. Fair enough, they got kidnapped and that would be an absolute crazy fear for a parent, but the fact that they�re using the word �A� now is really strange to see on the page and to hear her say it. I think the fans are going to be a little weirded out about that, because now the parents are in on it in a way. That was something that you would never have imagined before. How did it feel to play such an intense scene when Ali was found guilty of murder? It was weird. That was our first time in a courtroom for the show, which you think would be strange. You think we should have had a lot more court scenes. (laughs) Being convicted felt a little real. It was really strange. I mean we had the handcuffs and everything. Being in an actual courtroom and being in that environment, having such an emotional scene, yes, it was very intense, but fun at the same time. It was really important for everyone to see how emotional and vulnerable Alison was, especially since we now know that she didn�t do it, and that�s a very real thing. That�s a very twisted thing. People go to jail for things they didn�t do so many times that it was interesting to see a girl go through that. It was definitely fun to play. The girl that played my lawyer [Lauren Tom], she�s so sweet. She was Ross� girlfriend on Friends and I had no idea! (laughs) So, that was fun talking to her too. We had a really good time building those scenes. If you can give Ali any piece of advice going into season six what would it be? To be honest. That is literally my answer. (laughs) She needs to be honest now with everyone and go wholeheartedly into things instead of always trying to protect herself. She�s so scared of failing and getting hurt now, which obviously that is okay. It�s a genuine reaction for her given everything that she�s been through, but that would be my advice to her. Start letting go of all the fears that she�s had even though Charles is still on the loose. Do you think there are any worlds in which it�s still possible that Alison could be �A�? Are we ever going to find out who Varjak and Red Coat are as well? I have to be vague on that for sure, but this is the summer of answers. (laughs) There�s definitely some surprises in there that I wouldn�t have even expected. Marlene is great and I think the fans will be satisfied and it�s going to be a cool way to connect everything. They�re so smart. They�re geniuses. It�s insane what they come up with. Even when I think that there�s nowhere it can go, Marlene and our writers prove me wrong. It�s a really cool storyline and I think the fans are going to really enjoy it. Do you have anything in common with Ali? How dark is season six going to be, and how would you tease our listeners into watching the sixth season of Pretty Little Liars? It�s really dark. That�s why I mentioned it earlier, that we have such a broad age range of viewers. The girls go through very adult things. This is definitely the darkest season that we�ve encountered and I think that is because we brought Charles into it. Now that you�ve realized that this is someone that could be a lot closer than anyone ever knew, I think it�s frightening. We start to find things about Charles and it just gets more and more disturbing. It�s interesting. This season is kind of horror-esque. Not completely, because we still have our little comedy aspect and the girls still go to school, but there�s a lot of twisted things that, I mean at their age, they should never be going through. This is not a normal situation. It�s very dark, especially considering everything that happened to them in the dollhouse. You�ll start to find out what it was, and it�s really dark. That�s really the craziest aspect of it. Let�s be honest, this is an ABC Family show, but these girls got tortured and kidnapped by this person that they don�t know that knows everything about them. That�s a really dark subject. That�s a really weird aspect of the show, especially originally a teenager�s show. As much as it�s fun, yes, it�s weird. A lot of times, there�s nine-year-olds, seven-year-olds that�ll come up and be like, �I really love your show.� It�s so surprising to me that those kids are watching our show. I know a lot of it will go over their head, but we�re dealing with really dark things. It�s been interesting to see how broad the viewers are, which is great. It�s really dark and I wonder how the parents are going to react. They�re watching it with their kids too, but it�s been a really fun place. Our show still does it in a really classy way and still makes it really fun. For all the viewers who have to watch the show with their lights on, they�re going to have to grab a blanket and lock all their windows and doors to watch this. Is there another other storyline that you wish you could have acted yourself, like Aria or Spencer or anything interesting that you wish you could have gotten to play out? Honestly, Spencer has been my favorite characters. Obviously, I love playing Alison, but I just love how intelligent Spencer is and all the things that she comes up with. She�s still so intelligent and the things that she does and the things that she knows are really great. I think she�s got a really fun character. So, if I could trade, it would probably be Spencer. But, everyone is so funny. I mean I love how funny Hanna�s character is and the lines that she has are classic. Aria too and Emily because Shay [Mitchell] thinks it�s hilarious all the things that she has to do for Emily. The writers have done such a good job at shaping these characters to some of the things that they do in life as well, which I think is cool because Troian [Bellasario] is actually very much like Spencer. Because of how smart she is she�s able to say all these crazy words and every now and then, we�ll be like, �Troy, how do I say that� and that�s exactly what it is when she�s Spencer. (laughs) So, I think that�s really important. If you could guest star or join the cast of another ABC Family television show, what show would you want to be on? That�s a really hard question because we have so many fun shows. I mean this is a drama, so I think probably a comedy. I love cooking (Young & Hungry). Baby Daddy is so funny too. I don�t know! What has the transition been like behind the scenes for you working, going from a child to an adult? It�s pretty crazy because I was 12 when I did the pilot. Everyone was much older than me. At the same time, I never really felt the difference. I always had older friends. I was the only child. I was home schooled. I graduated at 14. So, I�ve had an abnormal childhood in the best way. I loved it. I would never have changed it. So, everything came naturally. Alison�s character has been so much fun. She�s done so many crazy things. I mean sure, she�s maturing now, but she hasn�t really calmed down necessarily. There�s been an arc in her character, but it�s not like they really catered Alison to the younger me just because I was younger. That wasn�t necessarily a big change, but you�re right. I have grown up on the show. This is such a great platform for me which has been fun. To now play someone who is younger than myself because it�s always opposite. I�ve always been playing someone older. When I was four, I was [playing] a six-year-old. So, this is a different change for me, to play someone who hasn�t graduated yet and isn�t 18 yet. Almost 18. But, that aspect is really strange for me, because now I�m older than my character. It�s been fun to deal with all the teenage problems that I don�t have anymore. How often do you and your other cast members read the fan theories around Pretty Little Liars and have you ever read one that was dead on? There�s been a few that have been head on. People thought that Charles was a family member somehow. So, they guessed that right. (laughs) Even before that, there�s been so many different things that they have put out there that have been really, really strangely accurate. I think that�s great! There�s so many fans that are so intrigued and interested in our show. [They] literally watch our seasons over and over again to pick up on little things and they piece it together. There are some things that they piece together that we never thought that they would and then we have to rewrite it. We�re like, �Oh, how did they catch that� and we have to change it a little bit because they�re so spot on. It�s amazing that they do that. As mysterious as our show is, our fans are really picking up the pieces, which is unusual. You usually watch a show and as much as you�re frustrated or want something to turn out the way it is, you don�t really research it and watch it with a microscope. That�s cool about our show, that our fans are in love with it that much that they�re that invested to do that. I have read a few theories that even though necessarily they�re not what�ll happen, they�re really interesting and cool and intriguing. We really appreciate that. A lot of times, it�s funny. We think it�s really funny and we all sit together and read some funny things and what the fans think. I think the fans should know that we read and we listen and enjoy their input for sure. CLICK HERE TO SEE WHAT ELSE SASHA PIETERSE HAD TO SAY TO US WITH HER CASTMATES LATER IN 2015! #1 � 2014. Courtesy of ABC Family Channel. All rights reserved. #2 � 2015. Courtesy of ABC Family Channel. All rights reserved. #3 � 2015. Courtesy of ABC Family Channel. All rights reserved. #4 � 2014. Courtesy of ABC Family Channel. All rights reserved. #5 � 2014. Courtesy of ABC Family Channel. All rights reserved. #6 � 2015. Courtesy of ABC Family Channel. All rights reserved. #7 � 2015. Courtesy of ABC Family Channel. All rights reserved. #8 � 2015. Courtesy of ABC Family Channel. All rights reserved. #9 � 2014. Courtesy of ABC Family Channel. All rights reserved.